As a woman who worked in corporate america, having worked for GE Capital and uBid Online Auction for years, I am very familiar with the corporate grind. I remember having to constantly make choices that impacted my family because the job always comes first. I remember the one hour commute to work every day and driving in very dangerous weather conditions because corporate management had determined that no manager could miss work because of any weather related issue. I don’t miss those days. I made a change I will never regret. I made the change to put life back in my lifestyle. I choose to control my destiny, control when I work and how much money I make. As a promoter for Well Beyond Chocolate, the makers of Beyond healthy chocolate, you can choose to live the life you have always dreamed of. We are on the verge of something epic. Even Harvard Medical School researchers looked at the effects of chocolate on the Kuna Indians in Panama. In the study, the Indians living on the islands drink chocolate as a staple part of their daily diet and have lower rates of heart disease and cancer. The people who live on Panama mainland do no drink nearly as much chocolate and have much higher rates of disease. I get paid to share Beyond Healthy Chocolate! Well Beyond Chocolate, the makers of Beyond Belgian Healthy Chocolate is the only way to get this healthy cold pressed high antioxidant chocolate. They own the rights to the cold pressed process that maintains the antioxidant value of the raw cacao including the high amounts of flavonoids. Most individuals who want to be involved in the business, join up as a Wealth Builder to make sure they have product to share. A great way to have extra product available so your team can get started right away. Are you ready for the ride? There are amazing changes that will be front page news with this company. NOW is the time to take the leap and get started. 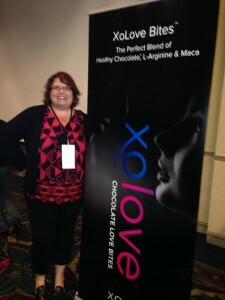 reached at 941-216-5727 or visit me at MyChocolateVitamins.com. Don’t miss out and regret this opportunity. 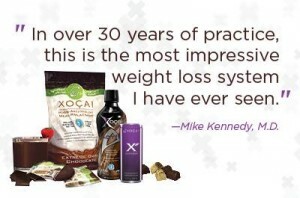 I share healthy chocolate products including the Chocolate Diet meal replacement protein shake that was featured on the cover of the Bariatrician, the American Journal of Bariatric Medicine magazine and Xovitality, the anti-aging cacao chocolate capsules that offer heart and brain health, immunity and antioxidant power in North Port and Punta Gorda, Florida as well as online shipped direct to your door.